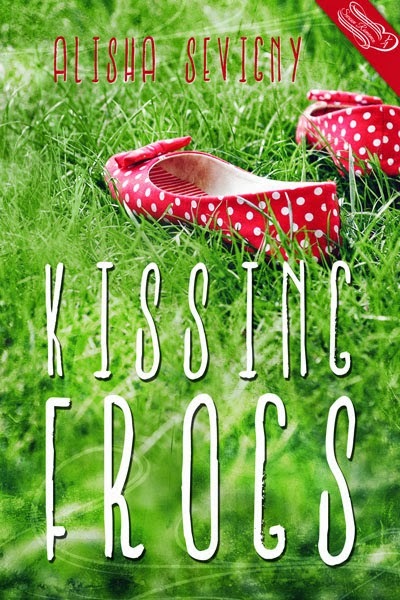 Welcome to The Cover Contessa's stop on the Kissing Frogs blog tour! But I’m not happy. I’m miserable. Utterly bereft, depressed, and completely regretting my temporary moment of insanity. I’m also mother-effing hot. Fanning myself, I look around the stifling van containing our driver, Hector, one oblivious teacher and six sweaty, hostile strangers. I didn’t pay much attention to them on the plane, consumed with my own inner turmoil, but none seem overly familiar. Besides, it’s not like we run in the same social circles—not anymore anyway. No one speaks a word to me. I get the vibe they’re less than thrilled about my last-minute annexation of their trip. Talk about joining the club. I take a long drink from my water bottle, chugging hard. Sunglasses slide off the back of my head and a hand goes up to grab them. “Better hang on tight to those Pradas, Princess,” says a voice from my past. Water sprays out my nose and mouth, splattering the backs of the two girls sitting in the row in front of me, their shrieks simultaneous. “What the hell?” the blond says, turning around and wiping her neck. The other girl, with the inky tresses, looks at me in disgust. I ignore them as I’m busy choking to death. There are a few thumps on my back, and a cheery, “Easy does it, Messy Jessie.” I turn my head, everything in slow motion. I’m hearing things. My disbelieving eyes rake over the boy on my right, whose once cherubic face has morphed into something slightly more… archangelic? Probably why I hadn’t recognized him. The world speeds up again. “Oh, I do,” he says, handing me the sunglasses I hadn’t been able to save from falling. “I’m just surprised you do.” He pushes wavy brown hair out of dark green eyes that glint with familiar mischief. Too shocked to think of a decent come back, I face forward, staring out the bug-splattered windshield, my heart racing. You have got to be kidding me. Since when does Travis freaking Henley go to Cassels Prep?